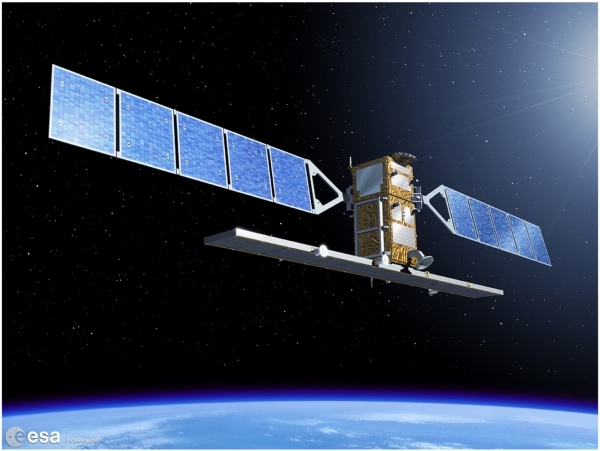 Europe's brand new EO satellite SENTINEL-1, flagship of european efforts in COPERNICUS GMES program, has been urgently manoeuvred due to collision risk with NASA's Active Cavity Radiometer Irradiance Monitor Satellite, acronymed ACRIMSat. ACRIMSat was launched in December 1999 for a five-year mission and, after a succesful service, is now one among many defunct satellites traversing low Earth orbit. 34 hours after separation from its carrier rocket, the U.S Strategic Command notified the ESA's European Space Operations Centre (ESOC) about the approach of ACRIMSat, after what the SENTINEL-1 flight control proceed for the avoidance manoeuvring.